A pair of Bentley supercharged racing cars is ready to take part in 2014 Mille Miglia challenge from 15-18 May. 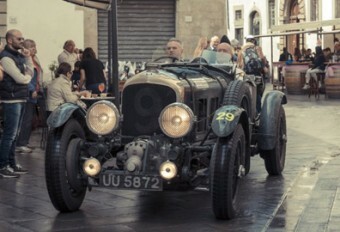 Mille Miglia is one of the world’s most historic classic car rallies.Company picks two famous 4 ½ Litre supercharged ‘Blowers’ for this competitions. These racing cars have to take on the 1700km route.